how good to see you again! this will be my last blogpost….. you can find more info at the bottom of this post. first the news about marinke and the crochet art project organized by kathryn vercillo of crochetconcupiscence.com. below an excerpt from her newsletter of 4 july. “you’ve likely already heard the sad news that crochet designer marinke “wink” slump of a creative being lost her life to suicide last week. in the aftermath of hearing the news, i felt like i needed to do something to deal with my own grief and bring our community together so i’ve created the mandalas for marinke crochet art project in wink’s honor. if you like to participate, all info about the project you can find via this link. info about wink’s patterns for 9 mandalas including links to the patterns you can find here. below pictures of my version of wink’s standard mandala but i gave it a twist with some surface crochet and a different edge. i wanted to create something that is basic with a flowery character and this is the result. yesterday i sent it to america.used yarn is a combination of phil coton 3 and catania with crochet hook size 3.5 mm. by the way, you can click on the photos to see them in a larger size. in february 2011 i started blogging to have a sort of task. i have health problems since 1992, but in 2011 it was definite that i could no longer work. therefore, blogging was and is important to me but about the last six months – because of my health – i managed less often to write a blog post. it all became a little too much for me. 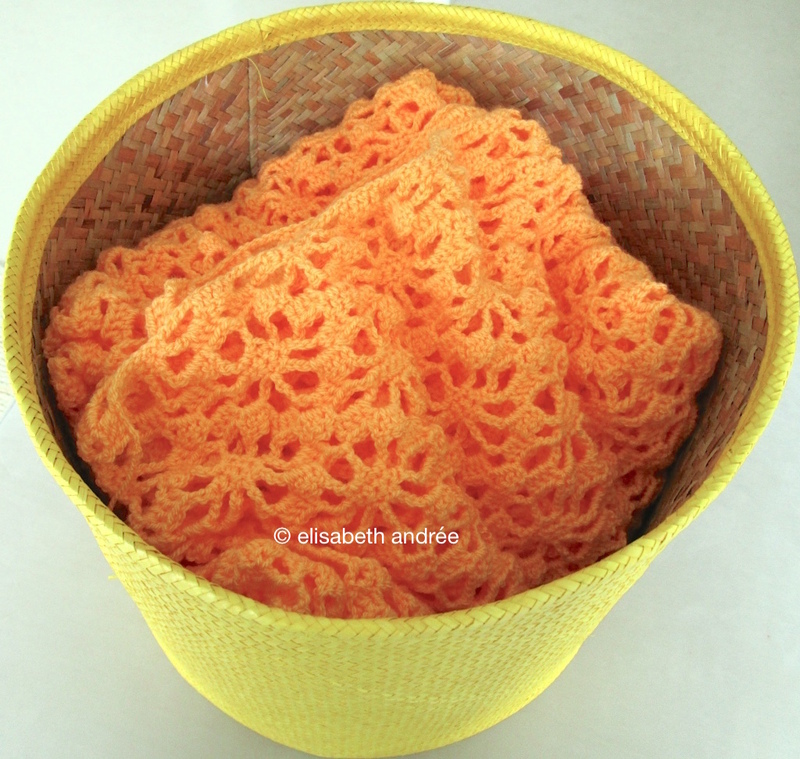 luckily i still manage to crochet, make photos and publish them on instagram and i try to keep doing that. there you can find the pictures of the projects i am currently working on and other things. if you like, here is the link to my instagram feed. i don’t close the door because maybe my health improves in the coming months and i’ll be back posting. in the autumn of this year i will tell you whether i’m going to stop permanently or start blogging again. there are a few things that i promised to do (like writing a how to for making a foldover bag) but this time i have to say sorry i can’t keep my promise. for everyone who came to my blog for a visit and even wrote one or more comments: thank you a thousand times! it meant and means a lot to me, perhaps more than you realize. please keep creating, crocheting, knitting, sewing, sculpting, painting, writing and more and thereby make our world an even more beautiful place to live. Categories: blogging, crochet, project done, wip | Tags: crochet, crochet stitches, crocheting rounds, mandala, wip | Permalink. welcome! good to see you! no unfinished projects to show you today but i have finished the cushion cover made of 42 ‘another squares’. it has an unusual elongated shape, but i wanted something different than the typical square cushions. it is lying on my couch and is pleasant support in the back and i am quite satisfied with the end result. here are some pictures, hope you like the cushion too!? if you like, you can find the pattern for the squares here. the yarn i use is scheepjes ‘softfun’ and crochet hook size 4.00 mm. 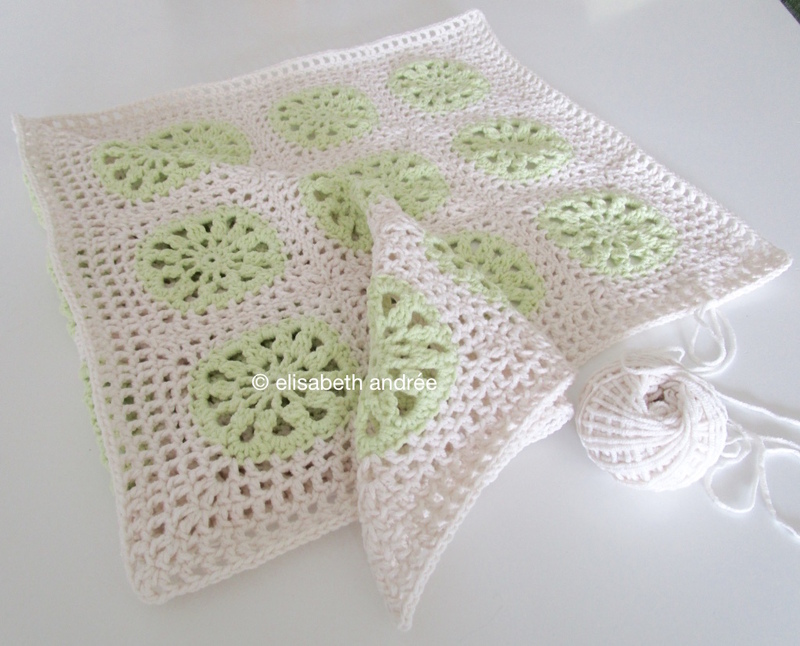 Categories: crochet, project done | Tags: crochet, cushion, cushion cover, square, squares | Permalink. thanks for stopping by, hope all is well with you!! last week i worked on a new yellow bag, a summer bag. for the bottom i started with the first two rows of the pattern for the rectangular squares i only made it a tiny longer. then it is all half double crochets with only a few double crochets. the bag is far from finished, i’m now working on the details. 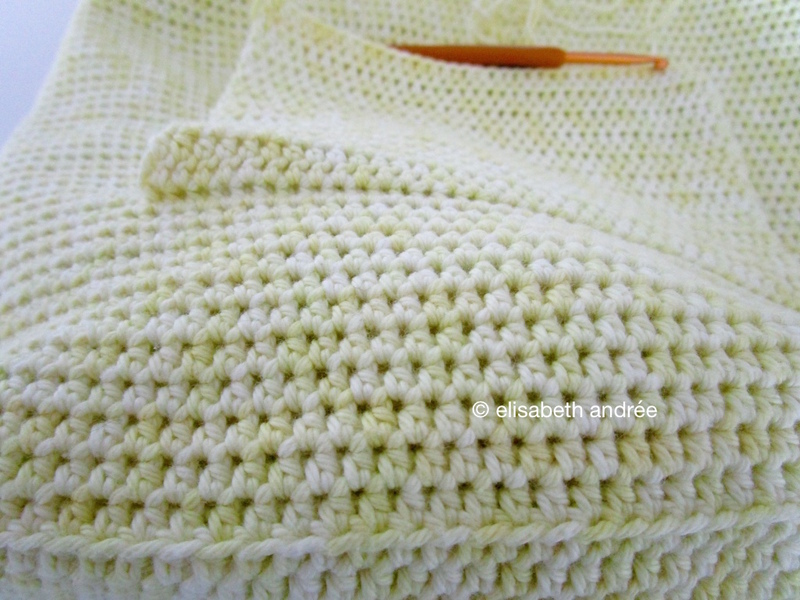 yesterday evening i crocheted a few rows to one side of the cushion cover, so that project i can finish soon. Categories: crochet, wip | Tags: bag, crochet, crochet bag, cushion, cushion cover, squares, wip | Permalink. hello, good to see you! a small and fun project and easy to make (to my opinion). i used one ball of 100 gram saskia yarn with hook size 4.5 mm and worked a little loosely. for a basic ‘how to make’ you can use this explanation for the curly bracelet. for this lilac cowl i made 151 chains per curl and made all single crochets. for the cat of my cousin who loves to sleep on soft and crochet things, i made a cat bed that measures about 50 x 50 cm and about 10 cm high. it is a little wobbly and feels really soft and comfortable (inside a children’s comforter which is easily washable) so i hope the cat will love to relax on it. both sides of the cushion cover made of ‘another squares’ are done. 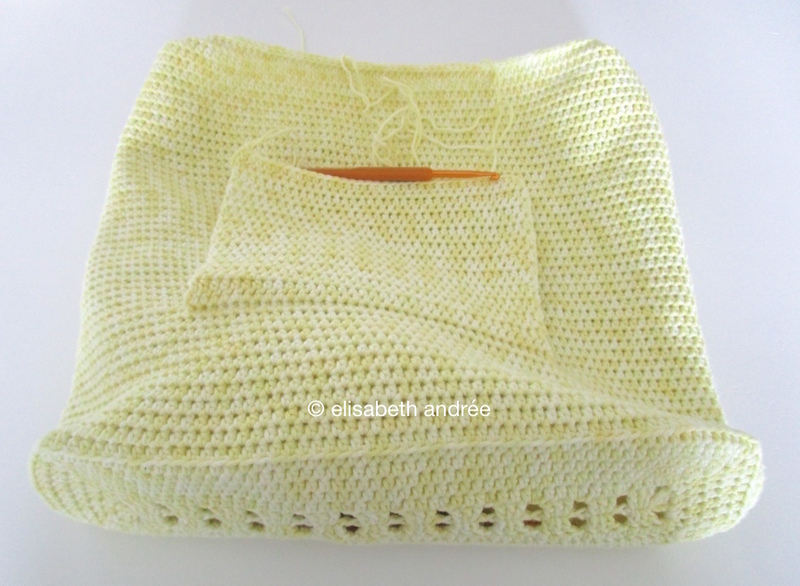 all the squares are sewn together, i have crocheted one row around and fasten off the yarn …. and i think i measured something wrong because the sides are to small for the pillow, so i need to crochet more rows around them. no problem. some evenings were a little cold but for me those evenings were a good opportunity to work on my orange spider blanket. Categories: crochet, project done, wip | Tags: blanket, cowl, crochet, cushion, cushion cover, floor cushion, scarf, squares | Permalink. 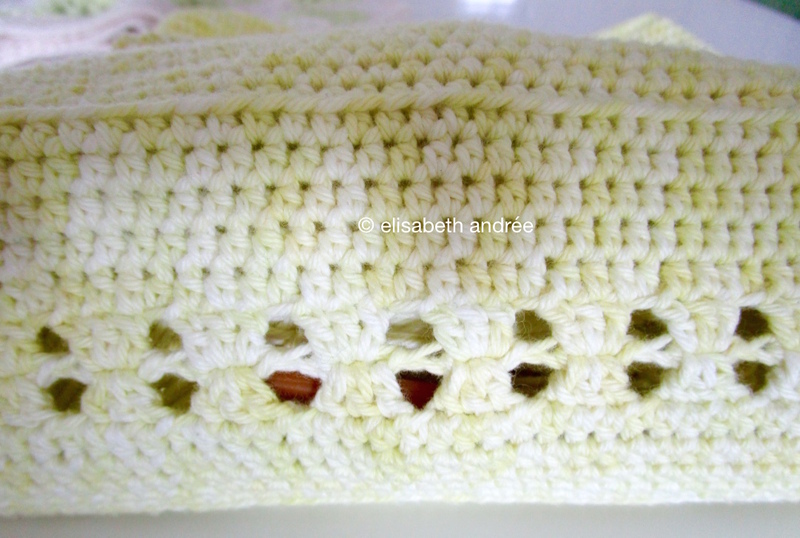 in a previous post i wrote that for quite some time i was looking for a pattern for rectangular grannies. there are several (free) patterns available, but when i saw the diagram of this pattern i made my choice. the pattern is written and it has diagrams. i made only a small adjustment, instead of 1 chain spaces in the corners, i make 2 chain spaces. this is the direct link to the pdf. i used a mix of cotton yarns and hook size 3.5 mm. and smc catania – color 100 which is the soft yellow. the hues on the photos are not exactly the way they are in real live. the cushion cover has a somewhat busy look, but not as bright as you see on the pictures. it was a fun project to do and for sure i will crochet more rectangular grannies in the future and make them with a different kind of yarn and/or colors. wish you a wonderful weekend! 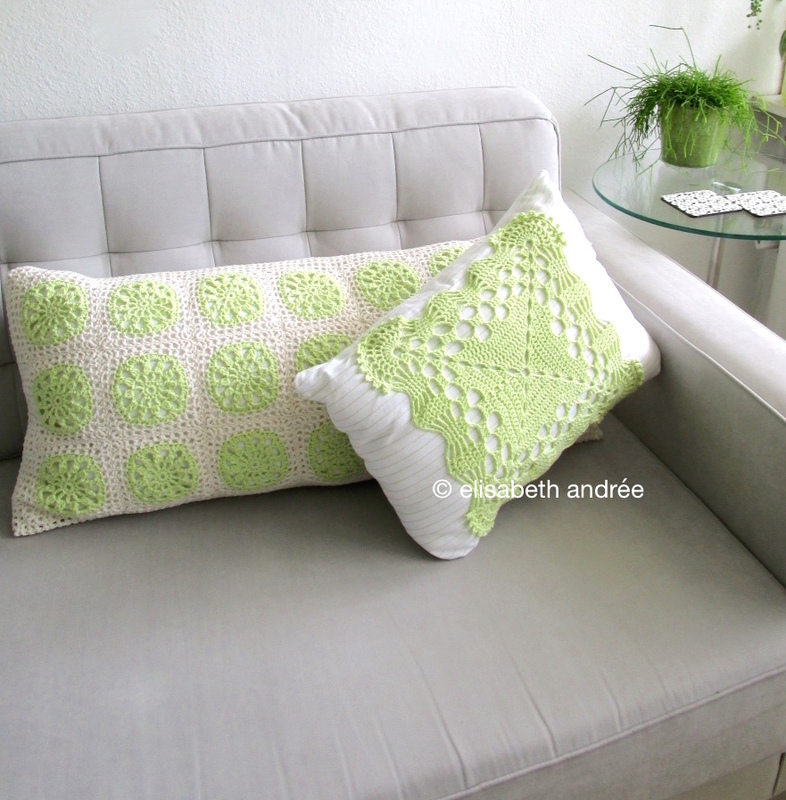 Categories: project done | Tags: crochet, cushion, cushion cover, green, interior, rectangular grannies, squares | Permalink. my name is elisabeth andrée. just click on the picture. how to follow this blog? do you like to see some beautiful photos? unless stated otherwise all designs, tutorials, images and words on this blog are mine and the copyright belongs to me elisabeth andrée©. if you like to post or pin a picture, always link back to the specific post. tutorial content may not be rewritten and/or distributed without my written permission, but you can sell any item you have made based on my patterns/tutorials. thank you for understanding!